The story of how Penicillin is discovered is widely discussed and researched considering how it impacted our lives and changed medical treatments ever since. However, Cecil George Paine who was the very first person to have made early penicillin cures, had his role unrecognized for a long time. This changed after I picked up on a trail of his work and after an extensive investigation, helped to save his story from being forgotten forever. My other contribution to uncovering the history of the early uses of penicillin was the notion that Hitler’s life was at one time saved by the use of allied-developed penicillin. Cecil George Paine around the time he achieved the first documented cures with crude penicillin. Photograph given to me by Paine. The history of the discovery of penicillin is one of the most widely researched and talked about discovery in the whole of science and medicine, simply because this antibiotic ushered in the antibiotic age and changed medicine and our lives forever. 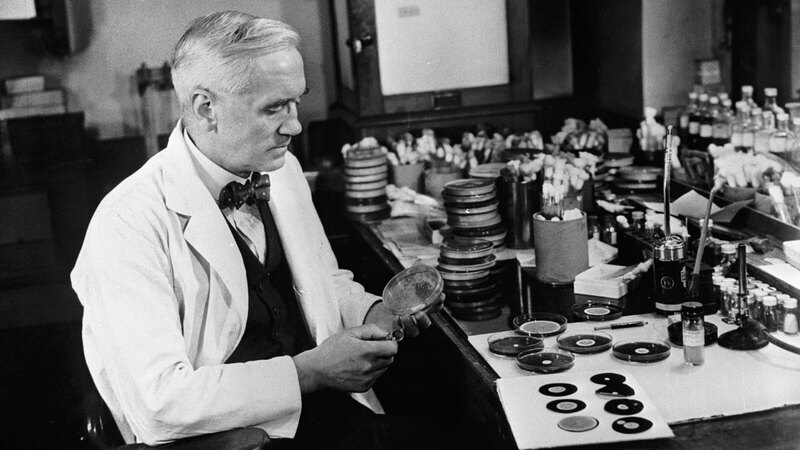 Alexander Fleming’s discovery and the subsequent development of penicillin as a medically useful antibiotic by the Oxford group is without doubt the most important discovery in the history of medicine (one could argue this with reference to the discovery of the Germ Theory). By the time I began taking an interest in the history of penicillin around 1989; most of the main details of the story were well known and were well covered in history research papers and popular books. However, one small paragraph in a book by Howard Florey et al., caught my eye around this time and urged me to bring to research and then bring to light an amazing, and then largely unknown story, namely the fact that a young pathologist called Cecil George Paine, working here in Sheffield was the first person to achieve documented cures using crude penicillin filtrates (i.e. not the purified form of the antibiotic which we are prescribed). The obvious thing that caught my eye about the Florey paragraph was that Paine’s work was done in the early 1930s here in Sheffield, from where I could conveniently begin my research. Firstly I had to find out if there were any documents available on Paine’s work here in Sheffield. I began by mentioning Paine to everyone I knew, without initial success. However, I eventually mentioned the research to one of the lab glassware washing ladies in the old Microbiology Department. She told me s that she knew Paine’s daughter and supplied me with her phone number. Not surprisingly, I was delighted as this seemed to be the breakthrough I was looking for. Wasting no time I contacted Paine’s daughter and asked if there were any notebooks or details of her father’s work still around, perhaps I could visit and check the loft. To my surprise she replied “Why not ask him yourself?” For some reason I had not done the calculation to realise that Paine, although in his eighties, might still be alive! I arranged to meet Paine, who was then very much alive and living in Ottery St Mary in Devon. With hopeful enthusiasm, I bombed down the motorways and interviewed Paine at his home, returning the same day. I had been warned that he might be a bit austere and at first this seemed the case, but eventually we warmed to each other and I recorded an interesting interview with him about the penicillin days. The story Paine gave me was largely an extension of what Florey had written. There was possibly enough there however, with the help a few photos, for me to write a more illuminating article on Paine’s pioneering, but what I really needed was more clinical information possibly some case notes. This seemed unlikely however, Paine had no idea if such notes existed and there was no obvious place where I could start to look for them. Then amazingly, I was contacted by a local doctor and historian called Harold Swan who informed that he had been given the job of sorting through the medical records of the old Royal Infirmary where Paine did his penicillin work, with a view to throwing away the ones of no historical interest. Excitedly, I asked if he could look for any reference to Paine’s work. A few weeks later Harold triumphantly returned to my office with the pay dirt. Two clinical records relating to the first ever successful medical use of penicillin. Paine used such filtrates to cure eye infection which in half of the cases caused blindness, in newly-born children. Surprisingly, Paine never wrote a paper on the work, or discussed his cures in lecture at a local or international medical conference and did no further work on penicillin. It is for this reason that he is largely unknown and did not share the Nobel Prize for the discovery of penicillin. 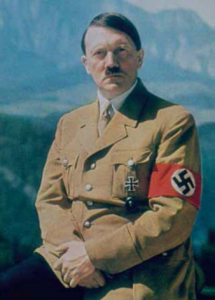 How Hitler’s Life was saved by Allied Penicillin? Here’s an exciting speculation made by me which caught the headlines. Was Hitler’s life saved, following the famous Staffenberg assignation plot saved by Allied penicillin? The Germans were spectacularly unsuccessful at developing penicillin during the Second World War. However, they did have access to US penicillin which was sent to Allied prisoner of war camps. My argument is that it is inconceivable that the Nazis would not have used these supplies of pure penicillin to treat infections amongst top Nazi officials and their families. It is even more inconceivable that would not have used Allied penicillin to treat Hitler after the Staffenberg assassination plot to prevent or cure infection.